Welcome to 2013 by Samuel E. Warren Jr.
Christy Warren and Leneil Sadana sit down to a silent New Year’s Eve supper. Mano Bito, in the background of the snapshot, watches TV news coverage of the countdown to 2013. After I take this snapshot, I take a plate and sit down to supper. The conversation is sparse. We all wonder if Ranilo Saldana’s classmates will attend the New Year’s Eve Party. 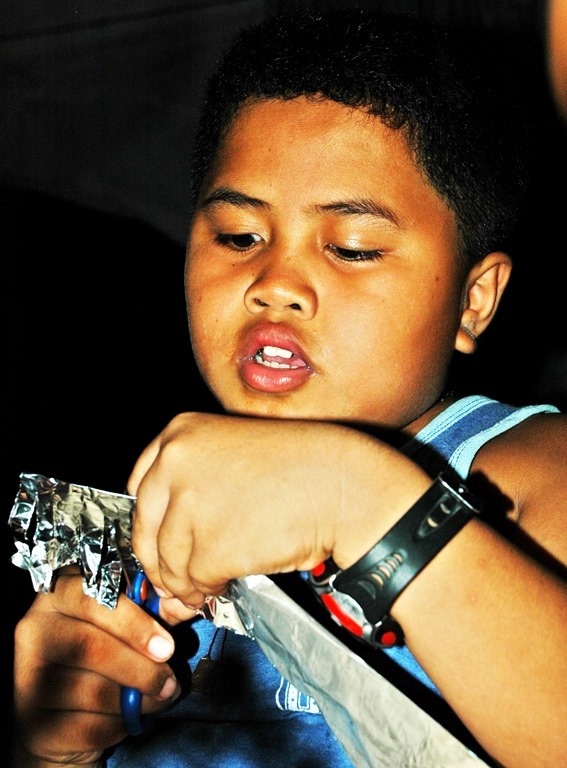 Snapshot by Samuel E. Warren Jr.
Ranilo Saldana had the idea for a New Year’s Eve Party to welcome in the new year. “Aunt Christy” Warren liked the idea as well. Even before Christmas was over, they discussed ideas and started small tasks. December 26, 2012, Aunt Christy was already, “swabbing the deck.” She had water and a mop and was mopping over the porch floor. The furniture seemed to take on a life of it’s own. The final days of December 2012, the bamboo chairs, coffee tables and end tables kept moving around the porch in the morning, in the afternoon and in the evenings. 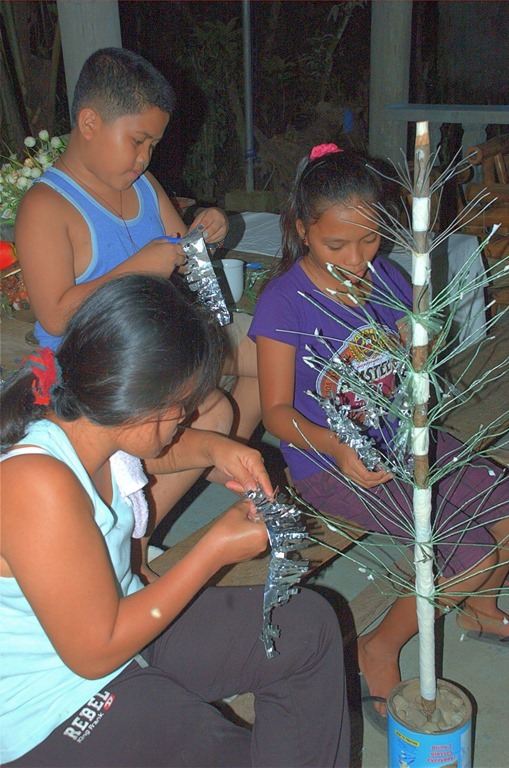 By December 30, 2012, it was mentioned that in rural Leyte people stay around home on New Year’s Eve. The classmates might not show up for the party. The “whole hog” times of life means you set aside conservative thoughts and go liberal. You pull out all the stops and do what you want to do. Common sense, of course, reminds you that you are not going to do something that will hurt you or others. Common sense, further reminds you, not to spend your last centavo on a celebration or party because you will want to be able to eat again tomorrow. Overall, the”whole hog”concept as it relates to a party means you will do what it takes to have fun for you and your friends without you going broke or doing something that will put you behind bars for breaking the law. 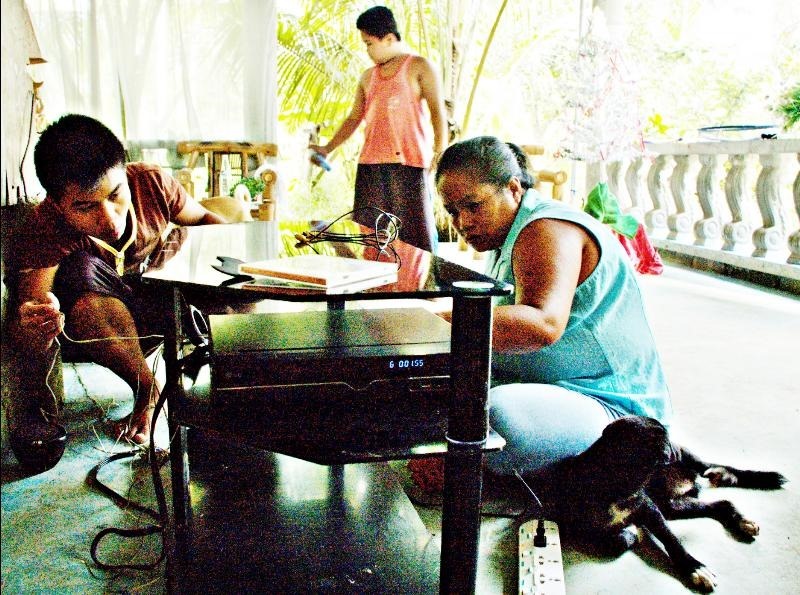 Christy and Ranilo set up the karaoke arrangement of the TV, DVD player, speakers and the temperamental microphone. Mano Bito cut the bamboo limbs to use as decorations. The disco ball was in place. New Year’s Eve evening the only thing missing was the guests. Christy Warren and Leneil Saldana had been busy in the kitchen and the table had been set. Would the guests show ? While I wait for the guests to arrive, I jot down a note to outline men’s fashion issues in my New Year’s Eve article for my readers. The article within the article would address the barong and business suits. The article would point out my successes with these styles of attire. I put aside my T-shirt and walking shorts and went with denim jeans and a yellow barong. A barong, is a formal shirt in the Republic of the Philippines. The holiday significance of the evening tempted me to consider wearing my military mess dress uniform. 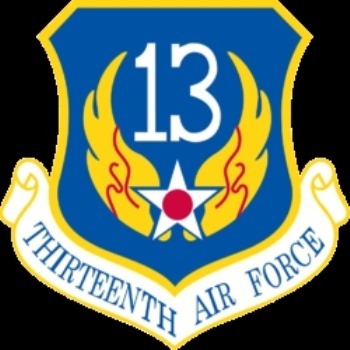 However, since the guests were suppose to be teenagers; I didn’t want to walk in and “Freak Them Out.” A duty military uniform can make some adults uncomfortable just walking past you on a sidewalk in the United States. I decided the chevron and the medals would of probably made the young guests feel like they were in a military recruiter’s office and I would leave recruitment to the professionals, who get paid to do the job. The beauty of the Philippines’ barong is it is a designed article of clothing that is conscious that weather can and does affect formal dress. The barong is always comfortable like a T-shirt or polo shirt. Business suits and military mess dress uniforms are always impressive, sometimes stylish, but, seldom comfortable, especially if you are in a situation where you will be wearing the clothing for a long period of time. The barong has the debonair and panache of a tuxedo and escaped associations with the leisure suit. Leisure suits were popular in the United States in the late 1970s and early 1980s. The Leisure Suit is basically a long shirt and slacks. Leisure suits are comfortable attire. On a temporary duty assignment to the Kingdom of Thailand, in Bangkok, I located a tailor, who was willing to try my designs and deliver my tailored leisure suits. I designed seven. One for each day of the week. I looked at the bolts of cloth and choose a rainbow of colors. I had a light blue leisure suit and a dark navy blue leisure suit. I had a dark green leisure suit, but I did not choose red because there were no casual or formal functions that a red leisure suit would work at at that point in my life. I kept the leisure suits and wore them out. Even after the “fad” passed, I kept the leisure suits because they were comfortable and functional. In essence, a leisure suit is really a combination of a barong and a matching pair of slacks. In the tropics, the leisure suits were really a brilliant idea because they were comfortable and provide a bridge between casual walking shorts, jeans and business suits. Unfortunately, negative publicity quickly made leisure suits obsolete. The Leisure Suit Larry computer game was hitting big in the United States about the same time that the fashion fad of leisure suits was gaining ground. Leisure suits seemed to quickly disappear as a man’s fashion choice in the States and men were back to either denim jeans, sport coats and slacks or business suits. Leisure suit-style uniforms can still be found as fashionable in some places in Asia and the tropics. Women have no problem wearing colored pants; men sometimes have the “macho” mindset that men should not wear brightly, colored or loud pants. Women have always had “fashion sense”, which explains why the fashion businesses or the world concentrate on trying to impress a woman. A man’s concept of “fashion sense” is “Barbarian Basic.” If the religious, political, moral, business and social ethics of the world would allow, a man would wander around the world, naked, or only wearing a towel or a pair of denim jeans. Suddenly, the global publicity took a negative spin on leisure suits. The attire became yesterday’s news. People began to associate the clothing with grandfathers whose fashion sense seemed antiquated. The people who didn’t like leisure suits would point to overweight men in polyester coveralls and snicker that the man looked like a guy in a leisure suit. Dumb comparison. Coveralls are basically bathrobes with legs. Instead of a terry cloth bathrobe belt coveralls have a zipper or Velcro fly. Coveralls are important work uniforms. You slip on a pair of coveralls and you go out and feed hay to the cattle in winter. Those type of coveralls contain insulation to keep you warm. When God designed Man, He knew Men had no need for a wider or larger pelvic girdle like women, so He didn’t add that design detail to a Man’s body. Thus.men need a belt or suspenders to hold their pants up. With or without alcohol, over time a Man’s body ages and gravity pulls at the stomach. “The Middle Age Spread” for men means nature has lowered your stomach and around your hips your favorite belt is going to “fit” differently. Look in the mirror. A young man puts on a belt and the buckle “Points Out At The World” and that image is reflected in the mirror. A middle age man puts on a belt and the buckle “Points Down At The Ground” and that image is reflected in a full length dress mirror. No article of clothing really hides or melts away “The Beer Belly Flaw.” In pictures of Arab leaders you will notice that in their robes that age has elaborated and elongated their bellies as well. Appearance conscious men realize that age does their physical appearance no favors and they try to work around “The Beer Belly Flaw” with a suspender option; it doesn’t work. Suspenders and overall galluses pull the pants up and actually make the beer belly more noticeable. I don’t wear suspenders often because to me they are uncomfortable. In my case, they would always rub over and feel like a weight on my shoulders. Whether the suspenders were clip on or the button-hole type, I could never get the suspenders to adjust to my level of comfort. Some men resort to girdles for physical appearance or health issues like a back injury. The health issue is an understandable concern. A girdle looks uncomfortable. God has a sense of humor. He gave women the pain of childbirth to remind them as a mother that she has a responsibility to love and care for her child. Men did not get off “Scott Free”. God gave men “The Beer Belly” to remind them of their responsibility as a father to love and raise their child. The vanity of physical appearance is a personal issue of a man. You can’t beat age, but, you can reach an acceptable compromise with common sense and some effort. In my lifetime, I have never noticed or discovered an article of clothing that will remove the physical design of “The Beer Belly.” However, leisure suits do seem to make a man’s middle-age and senior citizen “bulk” less obvious. The nice thing about fashion is if something in the past had many people that loved the clothing or the style then the item will return. The bad thing is bad fashion ideas come back also. Leisure suits’ main trump card with men is they were comfortable. For dress or business, once, a man had his slacks on, all you had to do was slip on a clean, white, cotton athletic T-shirt over your body and then slip on and button up the leisure suit shirt. Leisure suits’ secondary trump card is they were functional and fast. Business suits require matching shirts and matching ties to the color and style of the suit. For instance:You don’t wear a wide tide with narrow lapels. In the Real World, in your lifetime you will, no doubt, have an event where you need to at least look like a business man or a business women. I was fortunate to have a mother, who from an early age noticed my appearance. If I crawled out of bed looking like a creature from the sewer, she would not letting me go out in public until I at least looked human. Around 1973, I learned about “Gentlemen’s Quarterly” magazine. For years I bought monthly copies. Momma had taught me all of the basics of public and business dress. “GQ” pointed out style changes, fads and used the terms that a man would use in working with his tailor for a new business suit or tuxedo. Thanks to Momma and GQ, whenever I don a business suit, I know I will be successful. I am passing on these rules that I have used and hope they will benefit my readers. Keep in mind, “Everything changes.” so what worked a week ago; may not work today. Life is usually cyclical, which means at some point the 1940s hairstyle for women will be a fashion focus for a time for women. A major point to remember in business dress is to “Dress Conservative.” Women would not wear a PVC,Spandex or Lycra dress to a business interview. Women know better. Men should not wear a sport coat and basketball shorts to a business interview; but, someone usually has to tell a man because men don’t always listen when their mothers are trying to tell them not to go outside looking like a dork. Business shirts and dress shirts, means the neck size has to be comfortable for a man. If the buttoned collar is too tight, then, you unbutton the collar and find a tie stay or tie bar to slip under the necktie that will hold the collar down and give the collar the appearance of being buttoned. Business suits require neckties or bow ties. Clip on neckties and bow ties have to be manufacturer by fashion designers, who know how to make the tie seem natural when worn. A bow tie can work with a man’s business suit and look professional. The secret is the man has to select the bow tie. Before you buy the tie, look at your face in the mirror and hold up the bow tie. The bow tie calls attention to your neck and the area around your nose. If you look like an “Off Duty Clown”; choose another bow tie or select a necktie. Business suits require dress shirts that may have French cuffs. I love French cuffs on my business shirts. French cuffs require cuff links since there is “No Button” to hold the cuffs. Business suits require the right material. Forget “The Memorial Day White Sale Mentality” that says you never wear white until after Memorial Day. That idea disappeared around 1965 or 1966, when women started wearing white anytime of the year. Mark Twain loved his white suits. He must have had closets full. There are many pictures of Mark Twain in a white suit. Men can wear white. Men can wear white business suits. Men who wear white business suits should be conscious of the style – because if you look like a “Bozo”, someone will smile and give you directions to the circus. Business suits rely on climate for comfort material choices. You do not wear a paper thin tropical business suit to Alaska, Russia, China, Korea, Missouri or any other cold climate in the dead of winter unless you want to rush out and buy a heavy parka. If you do business in states or countries with cold, winter climates then choose wool or a heavy fabric for your business sport coats and suits to remain attractive, comfortable and warm. “Sharkskin Suits” are the shiny business suits. I loved my sharkskin suits. When I found a tailor in the Kingdom of Thailand, while on a temporary duty assignment, I sketched out the design I wanted and ended up with two beautiful business suits, a shiny silver and a light blue shiny suit. I wore them out going to parties, instead of board rooms. The sharkskin suits are beautiful material that plays with the lights. Entertainers love shark skin suits because they seem wired with electricity because light brings out the sheen of the material, even in a dark room. Sharkskin business suits are beautiful and do work in a business setting, but, you have to match your accessories from your wrist watch down to your cuff links and your socks to make sure the accessories compliment and do not challenge or make the sharkskin suit seem gaudy or garish. Sharkskin suits were popular business suits in the late 1970s and early to mid-80s. Unfortunately, the late 1970s to the mid-1980s was “The Era Of The American Televangelists”. Every two-bit con man with a Holy Bible and a buddy with a video camera started their own “Ministries” and empty your pockets for God scheme. The televangelist became so associated with the sharkskin suits that it did not matter whether a minister was credible or a conman because the shiny suits got unjustly associated with the “crooked preachers” of the era and the suits went into storage. Business suits usually require accessories. The overall business suit design for a man or a woman is a pure work of genius because the suit gives an overall uniform appearance to people committed to being, acting and dressing in a professional manner. Men need to learn to pay attention to the accessories they choose to compliment there business suits. In the early 21st century, men are still “ignoring” the breast pocket of the business suit. For the record, guys: A handkerchief goes in the exterior breast pocket of a business suit. The handkerchief is functional because it can be removed to wipe sweat from your brow in an emergency. It is wiser to carry a clean, folded, white cotton handkerchief in a rear pants pocket. The breast pocket handkerchief is an important accessory. The presence on the business suit states, “I Pay Attention To Detail.” In the good old days of business suits, breast pocket handkerchiefs came boxed with a matching necktie. Gentlemen, if you ignored your mother; listen to me, “Always carry a handkerchief.” The second handkerchief is the most important and should always been in a rear pants pocket or an inside breast pocket of a suit. It can be used to wipe sweat off your forehead, take care of tears or sneezing. And, any one of a bazillion situations that come up from a wound dressing to waving down a taxi; you can use a white handkerchief for. Business suit accessories include your watch and your rings. Silver, gold, black or brown leather watchbands are business staples. Pay attention to the rings you wear with your business suit. Pay attention to the socks you wear with your business suit. Shoes are important with the business suit, They should be stylish and comfortable. If you wear basketball sneakers with your business suit, I would hope the company calls building security and either has you escorted off the premises or transported to the nearest mental institution. Basketball shoes are for the basketball court; never for the world of business. 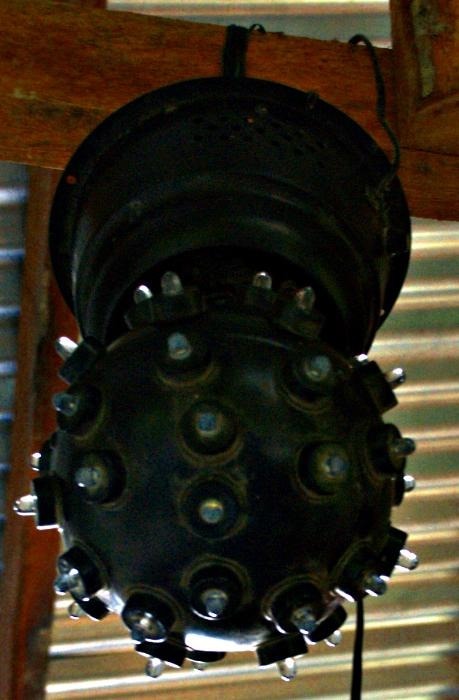 Boots ? If someone is from a western or southern state of the United States or some part of the world where the boots are normal footwear, then, they should be accepted as business footwear. The key is to go with the traditional colors of black and brown to compliment and not overwhelm the suit. Hats ? Hats have style. Hats are functional because they keep the sun out of your eyes, keep the rain off your head, hold your hair back and in cold climates a hat helps to retain some of your body heat. Fedoras were popular business hats of the 1940s through 1960 in the United States to be worn with a business suit. Western hats should be considered a cultural tradition for people who live in the American south or west, so they should be considered a part of the business attire. The key with an appropriate Western hat is the crown and the brim. The crown and the brim should compliment the wearer’s face and not overwhelm or hide the wearer’s face. Leave “The Goat Roper” wide brim, tall crown western hat in the pickup and choose a more conservative style like a Stetson stockman hat to wear with your business suit. Baseball caps are not hats. Baseball caps are for playing baseball. If you wear a baseball cap with your business suit I would hope building security removes you from the premises and possibly has you transported with the “basketball sneaker” wearer to the nearest mental facility. Baseball caps look dumb with business suits and a business suit is designed to be professional. One of the greatest selling points of “The Leisure Suit” is the “Quick Change.” Just like Clark Kent running into the phone booth to change into “Superman,” the Leisure Suit gave men the ability to quickly change into a professional business style of dress that looked presentable, professional, and comfortable. A business suit is a professional form of dress that require conscious effort in the selection and wear of the suit. The leisure suit allows men to bypass a whole series of decisions that should be made in the wear of a business suit. The leisure suit being a comfortable and functional designed shirt with matching slacks solves a majority of the issues that have to be considered with a business suit. Plus with a leisure suit you do not wear a necktie or a bow tie. It is acceptable to keep the top button unbuttoned. The other major plus of a leisure suit is age makes a man’s “beer belly”predominant. Some men their stomachs literally shout,”In Your Face !” The leisure suit seems to overcome the physical appearance issue by design. The material like any shirt rests on a man’s shoulders and the length of the material hangs down long enough to cover the stomach without drawing undue attention to it. I look at the clock on the wall and realize that 2012 is about to be history. Ranilo’s young guests have not arrived. 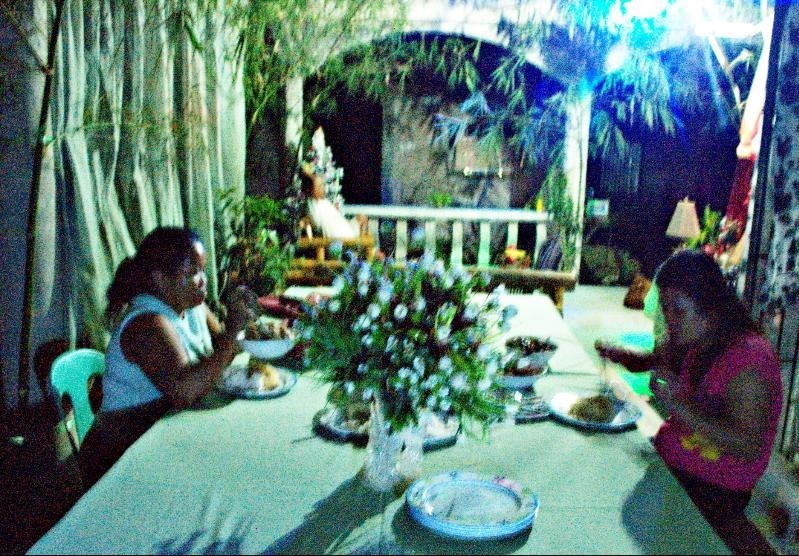 Everyone anxiously awaited the Noche Buena feast, a few days ago. I love food. I am always anxious about dinner. The magick furniture had at last settled into positions that would allow people to be able to use the microphone and TV for “Karaoke Night.” A large enough area of the floor remained vacant to allow for dancing. My appetite recognized the containers of Pancit Canton and fried rice. The platter of lumpia confirmed that 2012 was being sent into oblivion with a full dinner table of delicious food. The last platter had watermelon, pineapple and an assortment of nuts. I lost no time, seating myself at the table and satisfying my appetite. Christy, Leneil and Ramon joined me. Rafael and Virgie Saldana stopped by to say, “Happy New Year !” They didn’t stay for dinner. The black disco ball spins out it’s colored lights across the bamboo decor I notice the lights briefly wash over the Christmas Tree. It reminded me of Aunt Bill and Uncle Audrey Irwin’s small silver artificial tree and the color wheel still decorating one of my holiday memories of the 1960s. After supper, dreams of a Waldorf Astoria New Year’s Eve Party were vanishing. The hours had become minutes. Each passing minute cast aside a New Year’s Eve Party dream. 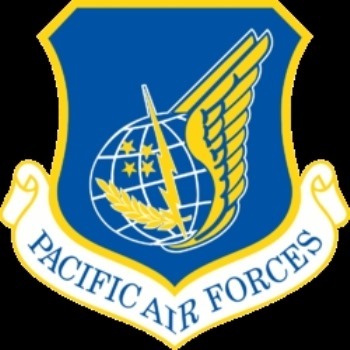 The clock on the wall displayed the civilian digits of 1-0 and I smile at the military memory of “2200 hours.” I smiled at Christy and remembered the New Year’s Eve Party at Clark Air Base, where famous Filipina singer, Regine Velasquez sang in the new year. Life has taught me you never give up on a plan. A celebration is always a celebration. New Year’s Eve is one of those celebrations that you should always celebrate because everyone only gets so many holidays and celebrations in their lifetime. It is silly and senseless to waste a single one. The nice thing about having grown up an “only child” is I can appreciate “The Party Of One” concept. You maybe “alone”, but, you are not “lonely”, unless you choose to be. If I want to party, whether I am in the middle of the Sahara Desert or in an igloo at the South Pole, I will find a way to “Par – tay”. In my lifetime, I have made it my mission to “uproot wall flowers” and try to get them out on the dance floor. I stroll to the karaoke setup and browse through Christy’s collection. Alas, my friends, if you live long enough, you too will sport the snow on the roof. The kids and the adults watch Sam slippin’ and slidin’ across the dance floor. At first, they snicker, giggle and laugh. Minutes pass and before long, I am not alone on the dance floor. An empty dance floor simply means I have room to dance. Once a person or a couple begin to dance, then, other people who really wanted to dance will sneak or proudly strut out on to the dance floor. After all, whether they realize it or not, people come to a dance – to dance. Sam’s Psychology Of Dancing 101 seldom fails because people do like music and people do like to dance. Sometimes in the Real World people become so grown up that they forget sometimes to allow the “kid within” to slip on his dance shoes and party down. The kids were enjoying kid style dancing and the adult were making brave attempts to overcome their “nervous knees” and actually cut loose and dance. The kids were having fun. I’m too old not to have fun. I put in the“Rock Around The Clock” selection, closed my eyes and mentally time traveled back to a dance of my youth. At the dance, under the spinning disco ball of light, across the room I noticed a beautiful young brunette woman in an evening gown, Donna Knight. She did me the honor of walking out on the dance floor with me. This night, my heart was beaming. My mind raced, My body reacted. Joy, exhilaration, excitement, celebration – No English dictionary on the planet contains enough words to describe the overwhelming positive emotions flowing through my body. I cloud dance. And, dance I did. Although films like “Dirty Dancing,” and “Footloose,” had not been made,yet, like the leading men of those dance films, I was out on the dance floor dancing my heart out. My young lungs ached and my leg muscles went numb. Anytime I am in a situation, where people come to dance, but are reluctant to take the first step; I do. 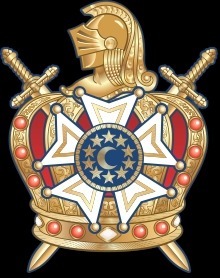 I think back to the DeMolay dance. I realize one of the pleasures of life is being able to move your body in ways you never realized that your body could move. Regardless of your age, if you do a freestyle form of dancing and allow the “music to move you”, you will shock and offend some people, so, be aware of not only how you dance, but where you dance. To me, dancing and the right music is just too precious to waste sitting it out on the sidelines. When you see the digits 6 and 0 vaguely on the horizon, you might have to back off of the “No Pain, No Gain” approach to dancing, which means you might not want to spend as long out on the dance floor. I left our dance floor to sit out the next song, Ranyiel stops dancing and picks up the microphone to sing. 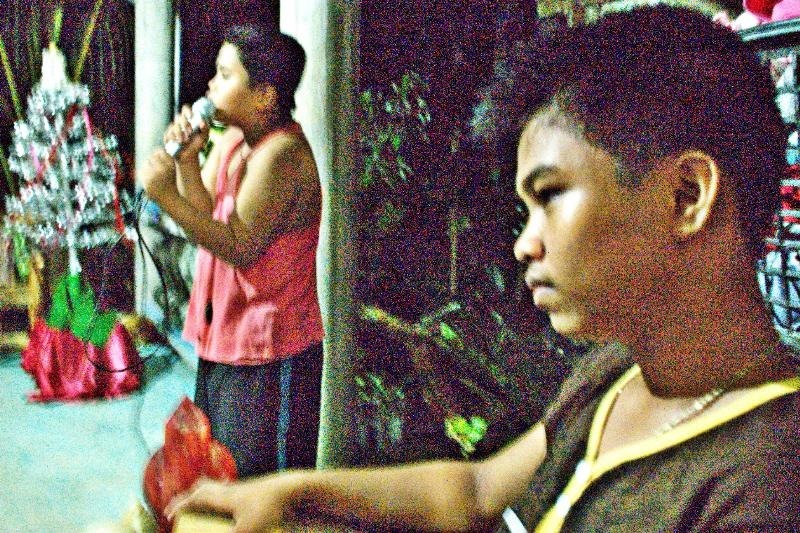 He kept the karaoke microphone warm with his Tagalog and English songs until his brother, Ranilo, returned with a guest. Chrismar Mora, Ranilo’s cousin, stopped by. A better karaoke microphone got plugged in and passed around. Sarge, our blue heeler, and Smiley, our mixed breed wooly dog, became our resident music critics and let loose their canine howls. Forget the judges of “American Idol”, Sarge’s bass howl is a loud piercing ambulance siren wail that raises the hairs on the back of your neck. Smiley’s tenor bark is rapid and persistent. The canine karaoke judges voted with their barks only a couple of times during the evening. I realized it was time for me to quit trying to sing Beatles tunes. Whenever Chrismar Mora took the microphone, it became as quiet as a church and you could hear a pin drop. I can’t play an instrument; but, I can play a radio or a record player. I’m no musician, but I know what I like in instrumental and vocal music. My mother had always had a radio on somewhere around the house, when I was growing up, so country music became part of my genetic code. I got exposed to opera,jazz and various forms of music. When I was working my way through college at KSOZ-FM at Point Lookout,Missouri, I would pay attention to singers and new releases. I learned how to dance watching Elvis Presley movies and would imitate “The King’s”vocal style as a child. In grade school and high school, there had been the great hard charging rock and roll music of the 1960s. As I remember, the early to mid -70s gave the world Bachman Turner Overdrive, ZZ Top, Boston, Rush and the “Heavy Metal” that reached into the souls of musicians and stress tested the absolute limits of instruments from guitars to pianos. From Iron Butterfly’s In A Gadda Da Vida to Jethro Tull’s Aqualung, the music came in through your ears and the pores of your skin. It seemed the tone vibrations of the music always rattled the red and white blood cells flowing in your blood stream. You might doze off on an elevator playing “Elevator Muzack”, but, “Heavy Metal” music seemed destined to flow through your body and attempt to bond to your immortal soul. I love Rock and Roll and Heavy Metal because both types of music seem to flow into your bloodstream and challenge you to react. Rock and Roll and Heavy Metal music call to mind the Black Oak Arkansas lyric about standing in the Hall of Commons between the devil and God. ”Bubble gum” rock like Partridge Family music had a following. The movie “Saturday Night Fever” sent ever man in America to the tailor to find a white suit and try to learn to dance. Disco became a definite form of music overnight thanks to the movie. Like disco, everyone predicted “Rap” music would end; unfortunately, “Rat” music survived. As always the “Doomsday Prophets” were wrong and fast talking vulgar noise became an accepted part of the music industry. By the 1990s, I might hear a song, but unless there was something special from the 1980s on, I didn’t get all that excited about music,with a few notable exceptions like Pat Benatar, Bonnie Tyler and Huey Lewis and the News. Chrismar Mora’s voice singing along to the words on the karaoke screen reminded me that music could be beautiful, interesting and soothe the soul. After the welcome of 2013, family members began easing off to bed. I really appreciated Chrismar’s singing,so I stayed on the bamboo loveseat until 2 am. Ranyiel relinquished his microphone and went to bed. Ranilo would take a turn at the mike now and then. Sarge and Smiley had voted against my singing earlier in the evening, so I sat back and listened. My eyes became heavy. I remember a lyric about “singing until the break of day.” Perhaps, Ranilo and Chrismar did. I felt the party had been a success. For my readers, I wish you the best that 2013 can bring to you. Easter In The P.I. 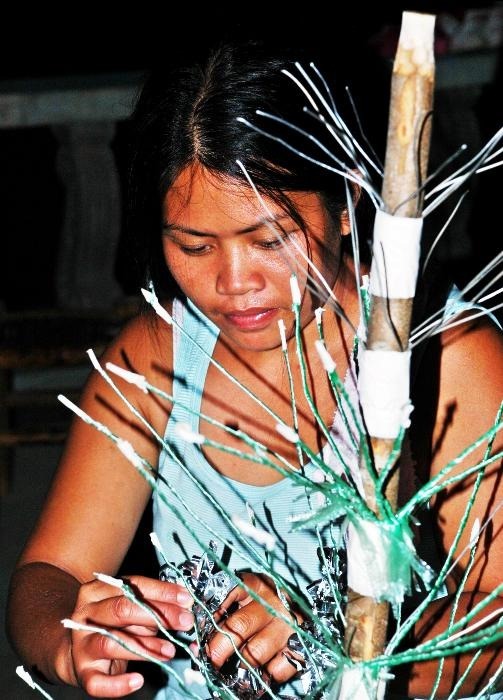 Photos by Samuel E. Warren Jr.
Easter in the Philippine Islands is a different custom than Easter in the Good Ole USA. 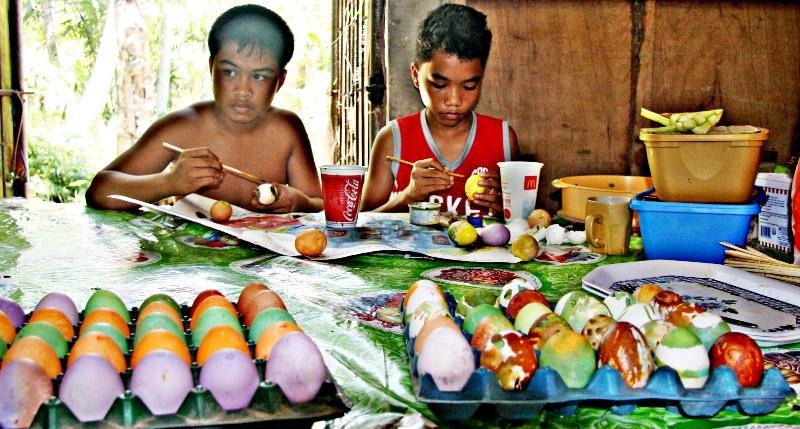 Ranillo and Chrismar paint Easter eggs. My wife, Christy, never ceases to amaze me. When I got up and headed for my first cup of morning coffee, my nieces and nephews were sitting at the kitchen table painting Easter eggs. Suddenly, I remembered that things you take for granted in one country can be a whole new idea in another country. Chrismar patiently paints an Easter egg. 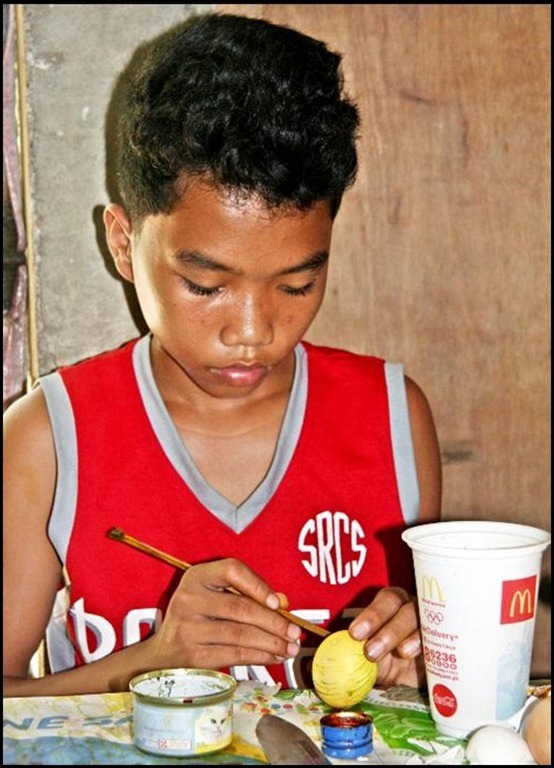 Photo by Samuel E. Warren Jr.
Ranillo sat beside Chrismar and applied brush strokes to an egg like Leonardo da Vinci at work on the Mona Lisa. 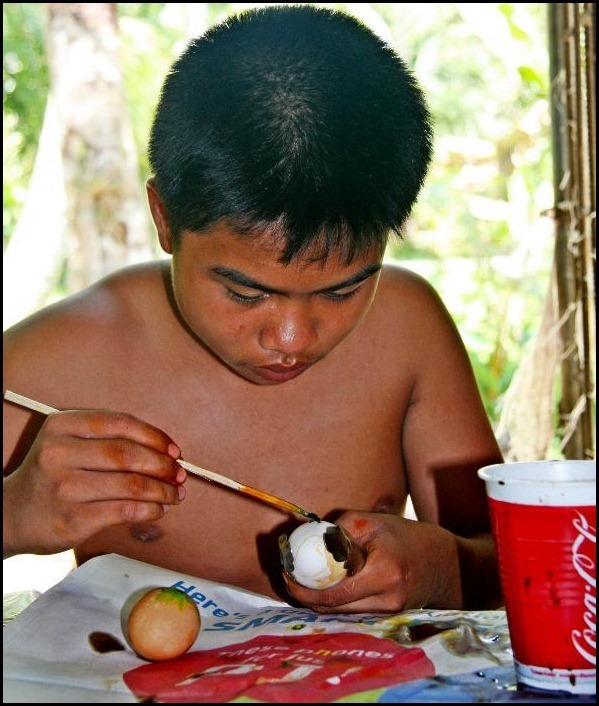 Ranillo concentrates on carefully placing paint on an Easter egg. 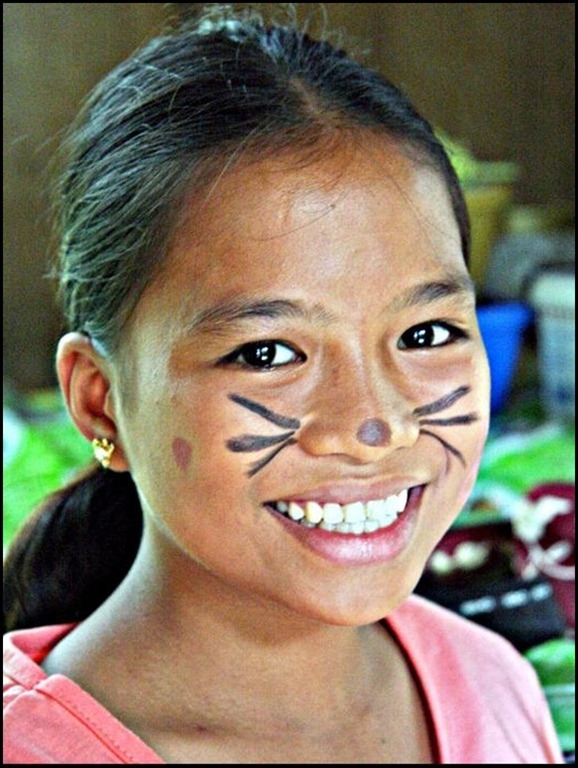 Photo by Samuel E. Warren Jr.
“Kids in the United States get their faces painted for Easter,” smiled Christy. Christy wanted me to sketch out some face painting ideas. 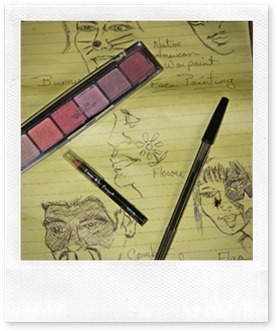 I sketched out some rough ideas with a black ball point pen and Christy got out her cosmetics to allow the kids to practice their face painting artistic skills. Photo by Samuel E. Warren Jr.
Christy gave me that “it could be an Easter tradition” look. 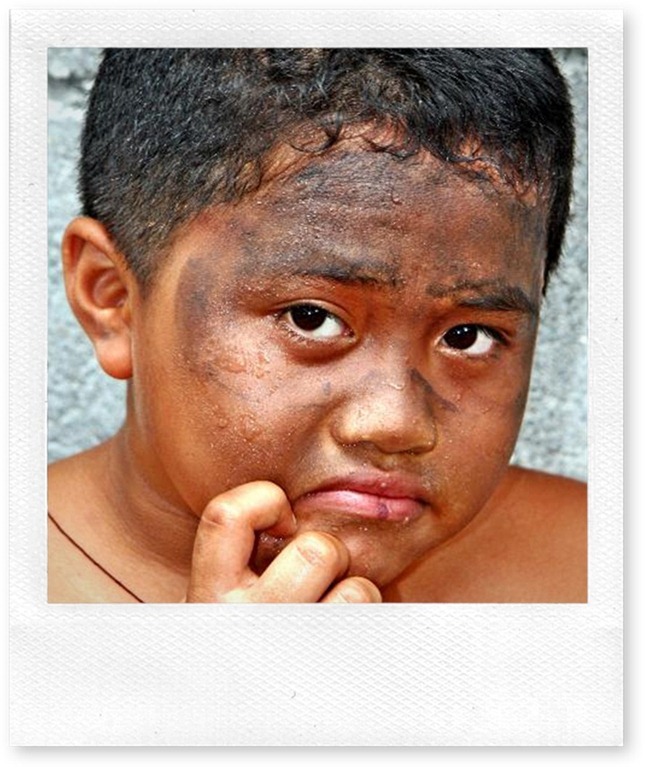 “Then, again, kids do seem to like having their faces painted,” I acknowledge. “Good, get your pad and pen and draw up some designs,” suggested Christy. I tossed down the old yellow legal pad and placed the black ball point pen on the surface and quickly sketched out some designs. “But, we don’t have any face paints or body paints,” I point out. Junea smiles and lets Aunt Christy apply the makeup. Junea models “The Bunny” face paint design by Christy. Photo by Samuel E. Warren Jr.
Vanissa watches skeptically. I can tell that she is less than enthusiastic about her face being a painter’s blank canvas. Ranyiel Saldana and Mac Mac Roa watch more like multinational business tycoons than curious little boys. Nonetheless, Junea grasp the concept and convinces Vanissa to allow her to apply a flower. Junea displays her artistic cosmetic skills to face paint a flower on Vanissa. 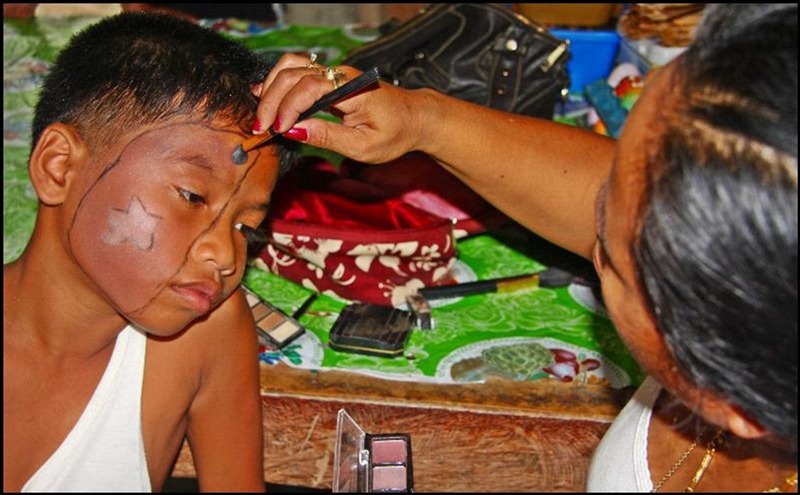 Photo by Samuel E. Warren Jr.
“Face painting is one of those activities at county fairs that groups do to raise money. 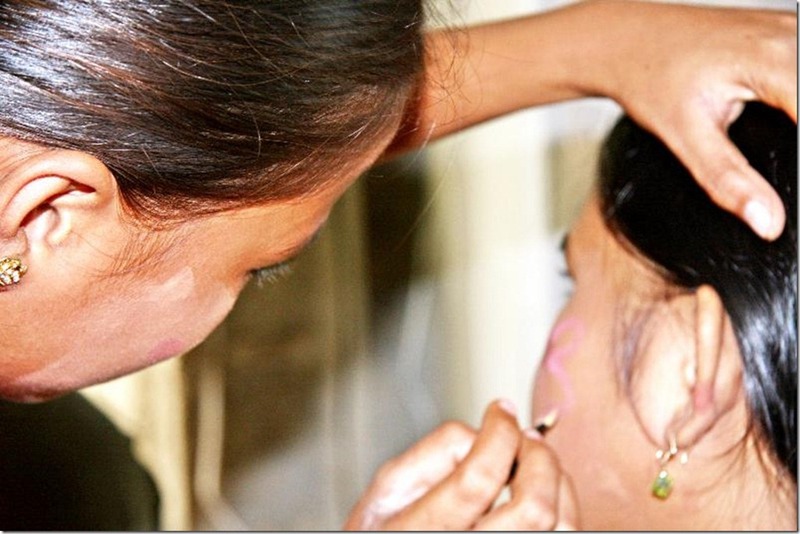 They charge like a buck or two for the face painting,” I explain. Ranyiel and Mac Mac give me the old, but how does face painting apply to men look? “Camouflage. Native Americans — the American Indian, their braves would put on ‘war paint’ before going off into battle. The war paint on the face was part of the custom designed to scare the enemy. And, in American and Filipino action movies, you always see the soldiers put camo paint on their faces, so that they blend into the night or the landscape. Camo painting by Special Ops type guys is a form of face painting,” I explain. Mac Mac is up for the challenge and earns a star on the face. Ranyiel isn’t fond of his Schwarzenegger Style Combat Commando Camouflage design, so he quickly washes off the design. Mac Mac relaxes to allow Aunt Christy to apply her face painting skills to add a star to his face. Photo by Samuel E. Warren Jr.
Christy brushes on “The Star” face paint design to Mac Mac’s face. Photo by Samuel E. Warren Jr.
Ranyiel decides against the Schwarzenegger Style Camo Combat Commander face paint design and goes to wash it off. Photo by Samuel E. Warren Jr.
Christy’s face painting idea might become part of the Saldana Family’s Easter traditions. 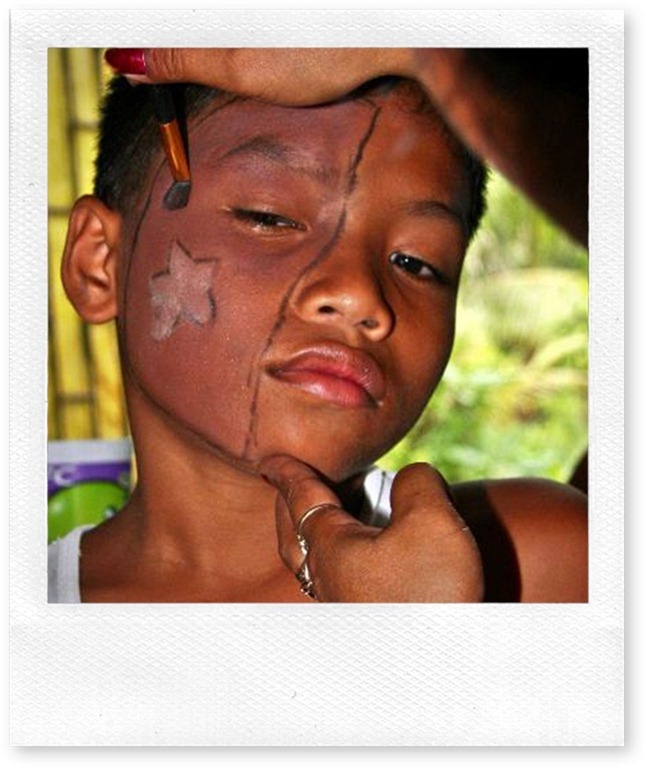 At least, the “face painting” technique provided the kids some artistic entertainment for an afternoon. Flickr Tags: By Samuel E. Warren Jr., Easter in the Philippine Islands, Easter in the USA, Christy Warren, painting Easter eggs, Easter traditions, “the Easter bunny.” Leonardo da Vinci, Mona Lisa, “Face painting, ” carnivals, county fairs, shopping mall openings, draw up some designs, sketched out some designs, face paints, body paints, makeup, Junea, Chrismar, Ranyiel, Mac Mac, Aunt Christy, Vanissa, raise money, “Camouflage”, Native Americans, American Indian, ‘war paint’, American action movies, Filipino action movies, soldiers, Special Ops, Schwarzenegger Style Combat Commando Camouflage, artistic entertainment, out-of-school afternoon, P.I., Philippines, Republic of the Philippines, province, barangay, Barangay Baras, Barangay Cameri, Tanauan, Tacloban City, Leyte, Eastern Visayas, cosmetics, eye liner, lipstick, rouge, mascara, Photos by Samuel E. Warren Jr.